SUNRISE, Fla. — Being a homeowner in Florida certainly has its perks — sandy beaches, sunshine, and tropical weather make for a vacation-like setting year-round. However, from June 1 to November 30 each year, the state becomes a perfect target for powerful storms like last year’s Hurricanes Irma and Maria. This unpredictable time of year calls for comprehensive homeowners insurance with a trustworthy, long standing and financially stable company. For this need, industry experts recommend FedNat Insurance Company. With broad product offerings and a Florida focus, Floridians are wise to remember FedNat when preparing for hurricane season. 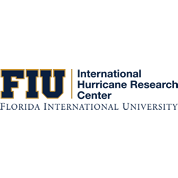 As a sponsor of the National Hurricane Survival Initiative’s Get Ready, Florida! 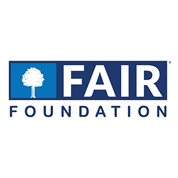 program, in partnership with the FAIR Foundation, FedNat understands the importance of providing education on how to best protect what matters most. Having paid over $2 billion in claims in its 26 years, including approximately $500 million after Hurricane Irma in 2017, FedNat’s proven coverage allows policyholders to rest easy in the midst of even the worst storms. Jay Neal, CEO of the Florida Association for Insurance Reform, sees firsthand that all insurance providers in Florida are not created equal. When he had to make a choice for coverage on his own home, he turned to FedNat. FedNat Insurance Company has been providing individuals with peace of mind for more than 26 years. FedNat Insurance Company currently holds a Financial Stability Rating® of “A” (Exceptional) by Demotech, Inc. and an A+ by the Better Business Bureau. FedNat specializes in homeowners’ multi-peril (“homeowners”), dwelling fire, federal flood, personal umbrella and various other products in Florida. In addition, FedNat also underwrites homeowners’ and dwelling fire policies in Alabama, Louisiana, South Carolina and Texas through its partnership with SageSure Insurance Managers.